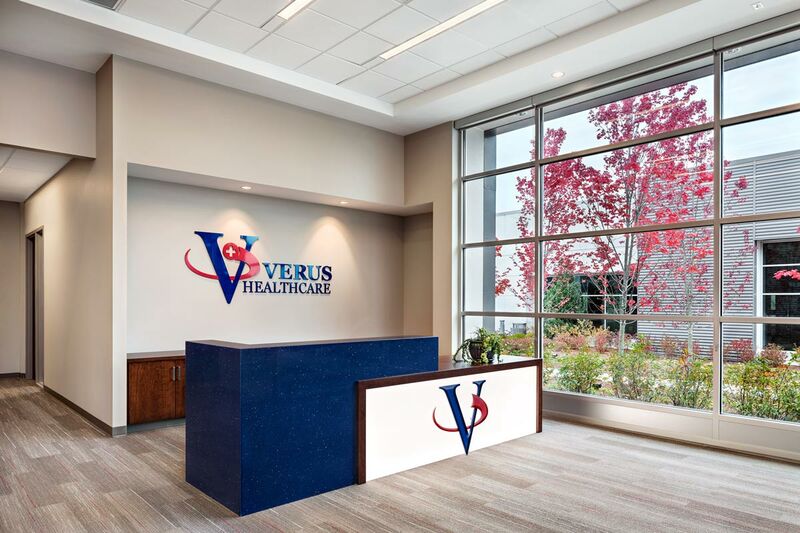 Southeast Venture provided interior design services to Verus Healthcare to satisfy their desire for a professional and updated office for their fast-growing corporate headquarters and call center. Subtle use of their brand colors plays against a neutral palette. 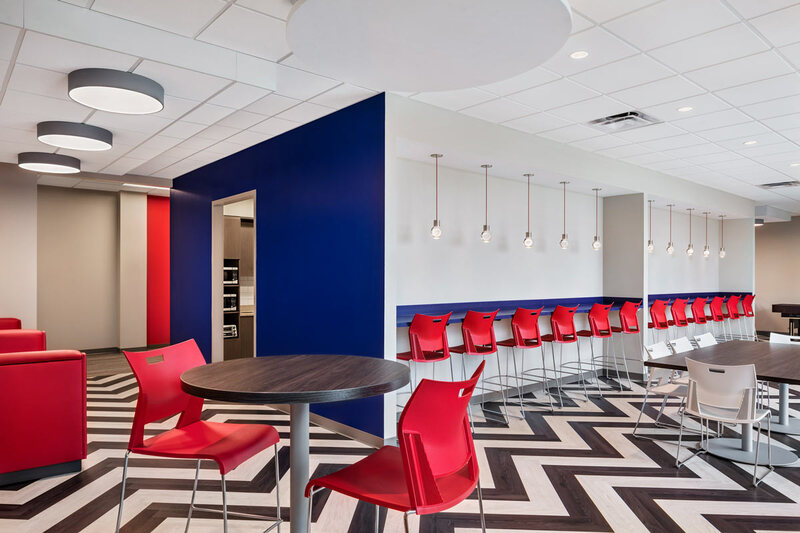 The outdoor courtyard and employee café with booths and shuffleboard offer convenient breaks in the work day. 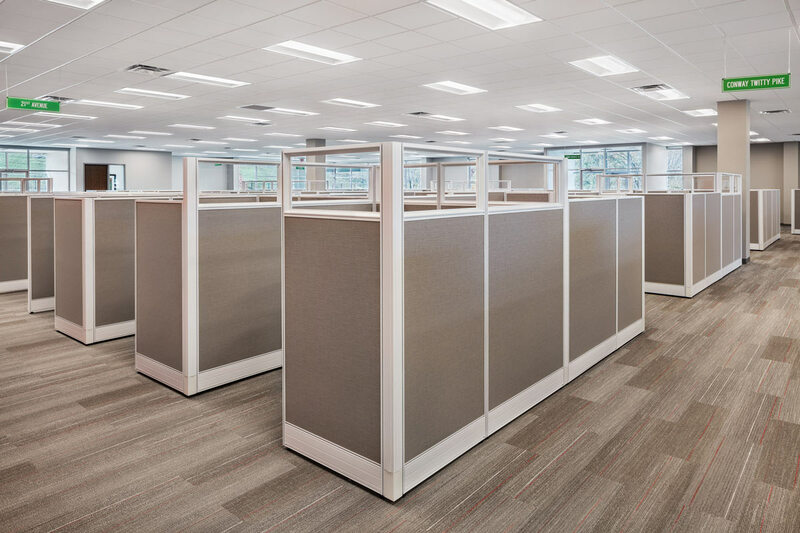 Ready For Some Interior Design for Your Project?